Giorgio Armani will launch Armani Code Absolu, a new fragrance for men. Armani Code Absolu is a flanker to 2004′s Armani Code, and will be fronted by actor Ryan Reynolds. Armani Code Absolu was developed by perfumer Antoine Maisondieu and features notes of mandarin, apple, orange blossom, nutmeg, carrot seed, tonka bean and vanilla. 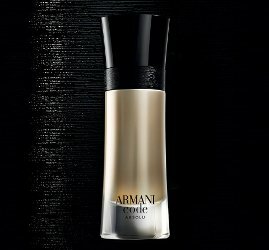 Armani Code Absolu will debut in February, size and concentration unknown. I guess the Boss contract was several years ago now. Yes…he did front Boss for a number of years, I think as recently as 2014.